Sharon Osbourne demanded a divorce when Ozzy Osbourne's drug and alcohol addiction spiralled out of control over the past year, she’s revealed in her book Unbreakable. 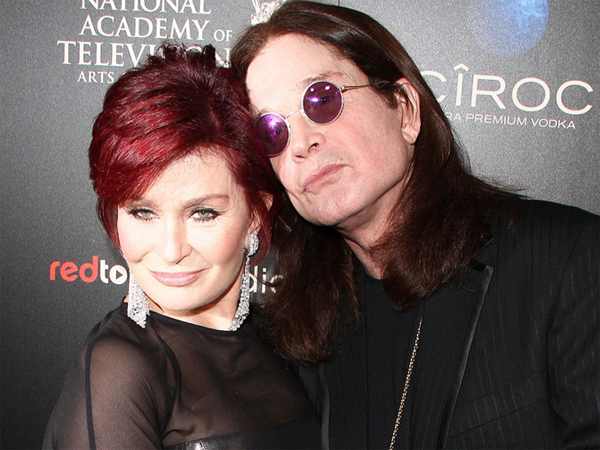 Sharon Osbourne demanded a divorce when she found out Ozzy was back on drugs. The X Factor UK judge was surprised her husband ? whose drug and alcohol addiction spiralled out of control over the past year ? wasn't "mortified" when she told him she wanted to end their 32-year marriage after having given him a second chance. Writing in her book Unbreakable, she said, "As soon as he spoke he was cocky and arrogant. There didn't seem one shred of remorse. "Something snapped. I thought, 'I can't carry his s**t any more. It's what I have always done, and I'm tired.' I said, 'I want a divorce . . .’ He didn't look shocked. "I don't think he believed me, but at the time I meant it wholeheartedly. I was expecting him to be mortified." Sharon then demanded "half of everything" and £100 000 (R1,6 million) a month, knowing "the thought of losing" money would have a huge impact on the Black Sabbath rocker. The two then brawled after the 60-year-old star threw coffee over Ozzy. She continued, "I knew money was Ozzy's Achilles heel, and the thought of losing it might have more impact than the thought of losing me. 'No f***ing way. Over my dead body,’ he said. "My Achilles heel is respect, namely the lack of it, in other people. I felt he was being dismissive, so that was it. Snap. I was drinking a cappuccino and the whole lot went on his head ? the coffee, the cup and the bloody saucer. "Then I grabbed him and pulled at his precious hair with one hand, while trying to yank off his jewellery with the other."